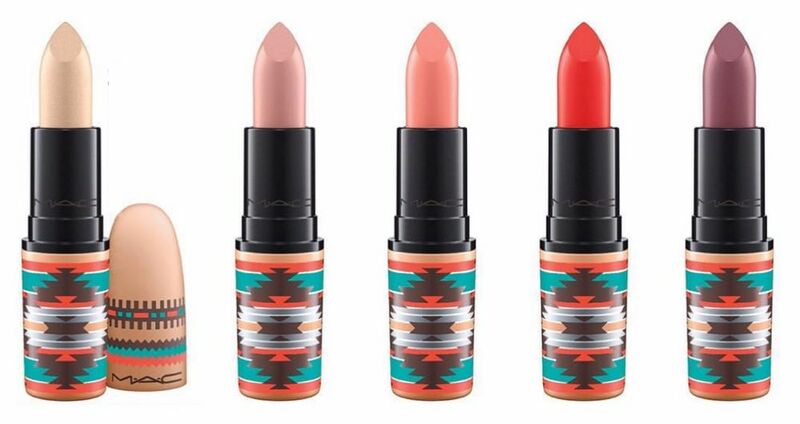 Whilst this collections shades look beautiful for summer there has been an outcry at the tribal stereotype portrayed, with the collections artwork making a clear reference towards native american culture. This denial of exploitation comes when names in the collection include Adobe Brick, Call of the Canyon, Arrowhead and Wild Horses. For many this is a cringe reaction from a usually inclusive beauty brand, ignoring their involvement when accused of appropriating symbols connected to indigenous people. 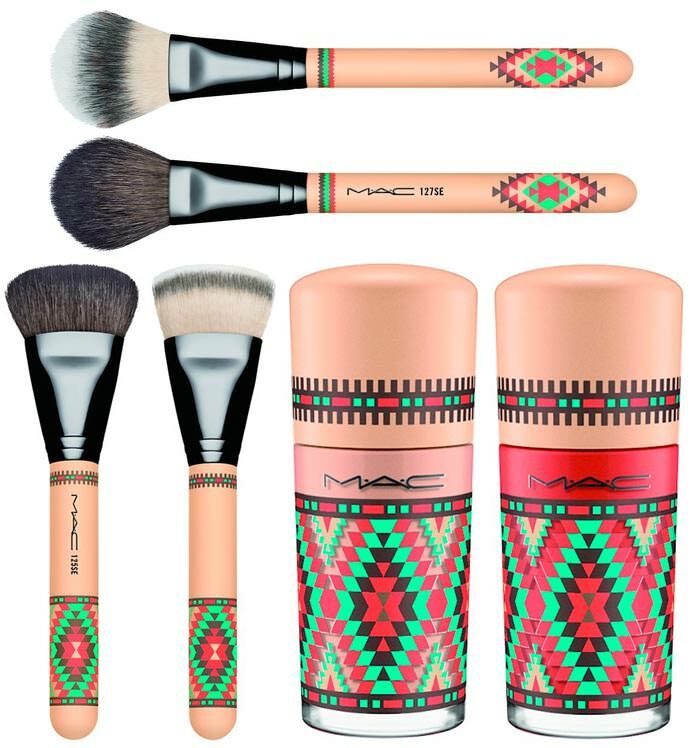 Cultural appropriate in the beauty and fashion industry is common, and the public outcry has shown backlash and disappointed toward these brands. 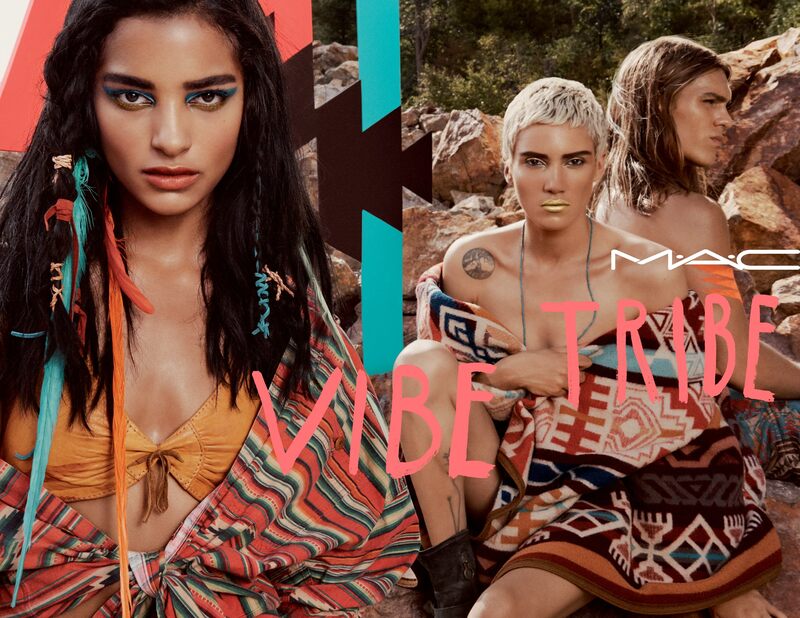 I would love to know your views on this, will you be purchasing the MAC Vibe tribe collection? Do you believe it is simply cultural insensitivity or another example of cultural appropriation? 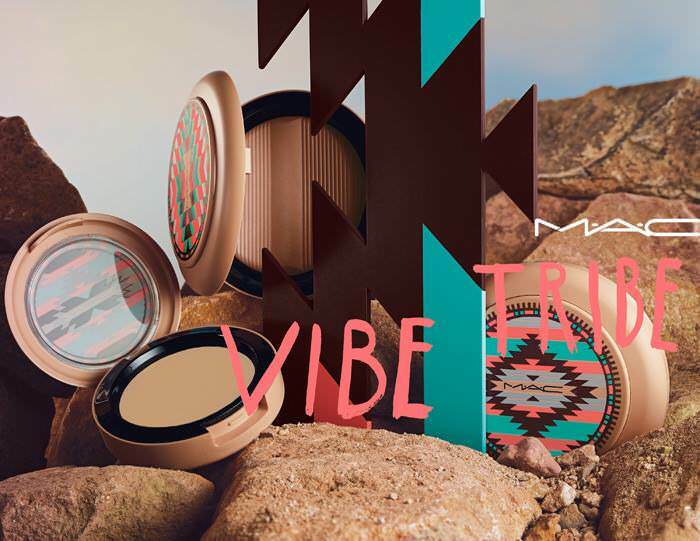 The MAC Vibe Tribe launch will be in May 2016 at MAC Stores and counters. 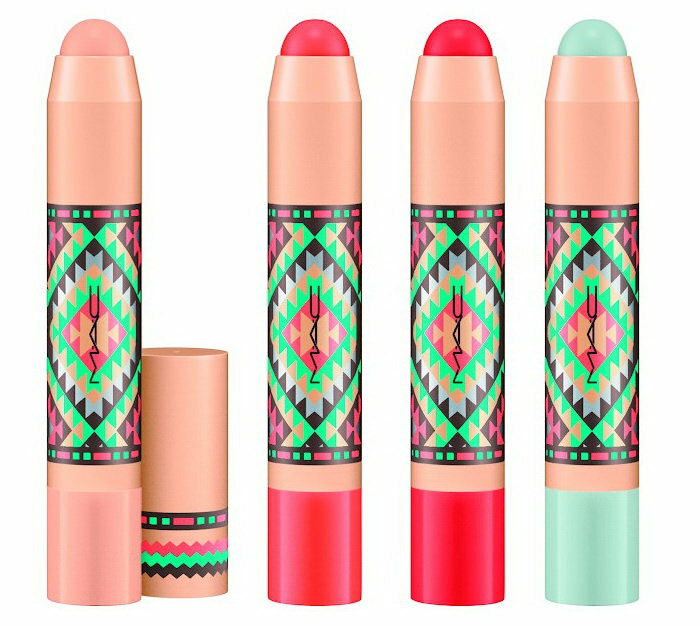 Vibe Tribe Lipstick shades – Tanarama (frost), Arrowhead (matte), Painted Sunset (amplified), Pure Vanity (lustre) and Hot Chocolate (satin). Patentpolish Lip Pencil shades – Tumbleweed, Teen Dream, Caravamp, Desert Evening (online exclusive) and Rio Grande Romance. 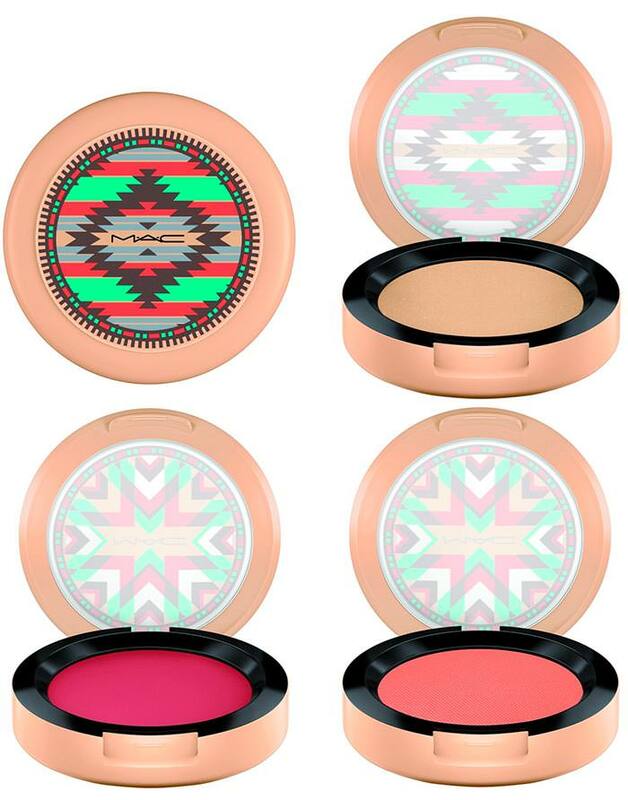 Powder Blush shades – Modern Mandarin (satin), Adobe Brick (satin) (online exclusive) and Painted Canyon (satin). Call of the Canyon Eye Shadow Palette 4 shade names – Call of the Canyon (veluxe pearl), Fool’s Gold (frost), Summer Sun (frost) and Thunderbolt (lustre). Wild Horses Eye Shadow Palette 4 shade names – Wild Horses Brule (satin), Charcoal Brown (matte), Wild Horses (satin) and Blue Mesa (satin). Technakhol Eye Liner shades – Snowed In, Broque and Take the Plunge. Bronzing Powder / Matte Bronze Bare Shouldered Bronze shades – Refined Golden (online exclusive) and Firebrush. M·A·C Studio Sculpt Defining Bronzing Powder shades – Delphic and Golden Rinse. M·A·C Studio Nail Lacquer shades – Blazing Hot (cream) and Skin (cream). 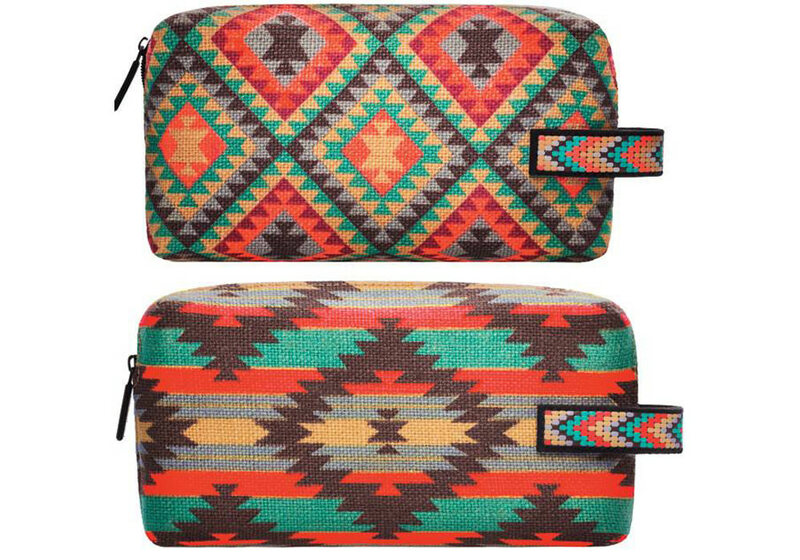 Makeup Bag available in 2 different designs. Don’t miss out on today’s earlier post, the exciting news that Anastasia Beverly Hills have announced a new Stick Foundation launch!